Novi Sad (cyrillic: Нови Сад) is a city located in northern Serbia; it lies on the banks of the Danube river in the province of Vojvodina. 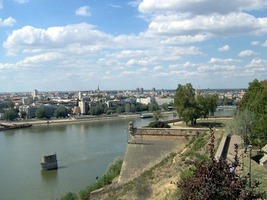 Novi Sad is located on the water route Rhine – Main – Danube which connects nine countries and six capitals. 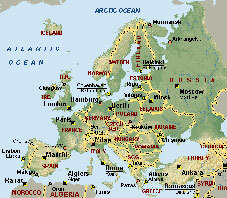 It is also on the main route from the central Europe (through Hungary) to south-eastern Europe (FYR of Macedonia, Greece, Bulgaria, Turkey). Novi Sad lies 300 km south of Budapest (Hungary), 70 km north of Belgrade, 360 km east of Zagreb (Croatia) and 160 km west of Timisoara (Romania). 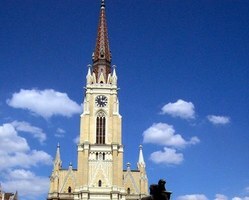 Novi Sad is the capital of Vojvodina province and a large industrial and cultural centre. Its name means "New Planting" (noun) in Serbian and is also known as Neoplanta (in Latin), Neusatz (in German), and Újvidék (in Hungarian). 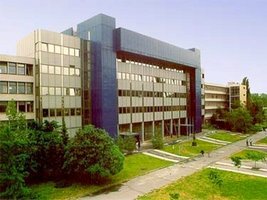 The population of Novi Sad, according to the Serbian census of 2011, is about 250.000 citizens, with the entire administrative area having about 350.000 citizens. 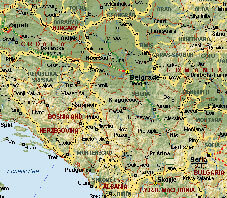 Serbian language is spoken by majority of citizens. However Hungarian, Slovakian, Rumanian and Ruthanian languages are also widely spoken and officially used according to the law and decision of the town’s assembly. 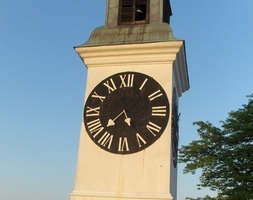 Novi Sad has a moderate continental climate, with four seasons. The most recognized structure in Novi Sad is Petrovaradin fortress, which dominates the city and offers scenic views of the city. 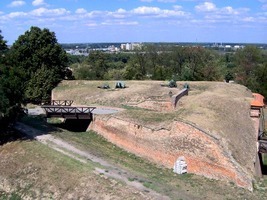 Petrovaradin fortress is situated on the right side of the Danube. Its construction started in late 17th century by Austrians. 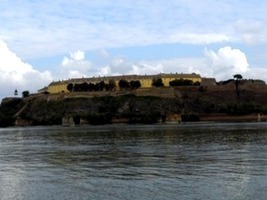 The fortress represents Novi Sad history but it is still alive after four centuries of existence. Most of the day it is crowded by tourists and Novi Sad citizens. It is the home of the artists which are inspired by its beauty. Besides the fortress, there is also historic neighborhood of Petrovoradin's old town (Stari Grad), with many monuments, museums, cafes, restaurants and shops. The great European river Danube runs through Novi Sad, and makes a beautiful quay along its flow, passing by Novi Sad's most elite neighborhoods. The promenade is busy all the time, day or night. You can see people walking by, fishermen at the shore or if you walked down the quay during the summer – you may see some of the festivals that take place in this particular time of the year. "Štrand" is a popular beach on the Danube river. It is located near the Freedom Bridge, in the city quarter known as Liman. 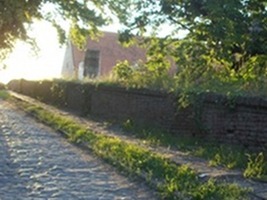 EXIT (also known as State of EXIT) is an annual summer music festival help on the Petrovaradin fortress of Novi Sad. It is staged annually since 2000 and usually lasts four days (since 2003), although it has since expanded to include events at other places under the same event name. It is quite possibly the largest music festival in the South-Eastern Europe, with typical audiences of 30&dash;40.000 per day and up to 200.000 in total. It was officially proclaimed as the 'Best Major European festival' in 2014 and 2016 at the EU Festival Awards, chosen by 620,000 between 360 festivals from 34 countries. For more information visit www.exitfest.org. There is also a little mountain of Fruška Gora nearby, approximately 20 km from the city centre. The highest peak is Crveni Čot at 539 m. There are sixteen Serb Orthodox monasteries located on the slopes of Fruska Gora. It hosts many campers and picnickers during the spring, summer and autumn.